World of Darkness fans, rejoice. 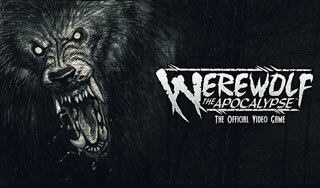 Cyanide Studios is making a Werewolf: The Apocalypse game. Way back in December of 2015, we reported that White Wolf Publishing was planning to license World of Darkness properties for video games and other things. Today, Focus Home Interactive announced what appears to be one of those things: a Werewolf: The Apocalypse video game developed by Cyanide Studios. "Become a werewolf, known as Garou (from French "Loup-garou" meaning werewolf), immersed in the atmosphere of their shamanistic and tribal world. Garou are Werewolf warriors opposed to urban civilization and supernatural corruption, all heading towards inevitable apocalypse." Tobias Sjögren, CEO of White Wolf, said of the partnership, "The World of Darkness has always attracted creatives with a strong passion for telling dark and immersive stories. So to work closely with the great talent at Focus Home and Cyanide exploring the savage Werewolves of this universe is an absolutely fantastic experience for us at White Wolf and we are more than excited to see this great and highly relevant IP realized in a video game." As with the other game in development by Cyanide Studios - the new Call of Cthulhu - we're expecting to hear more when Focus Home Interactive holds its "le What's Next de Focus" event in Paris, France February 1 and 2. Someone help me! I've been bitten by a radioactive Social Justice Berserker! That thought aside I'm looking forward to gameplay trailers of this. This is fantastic news! Werewolves are by far my favorite not-supernatural supernatural beings and it's long overdue for a game. I actually have an idea for one I wish I could make reality. I wondered when world of darkness would resurface. It has so much incredible potential left untapped and wasted. Dane with D&D actually...Warhamer OTOH is really making itself known, with loads of quality titles on different platforms. It's about time some more of these franchisees got off their collective butts. Disappointing, but I'll give it the benefit of the doubt. I will try to summarize the situation and hope this is helpful to read! White Wolf in its original incarnation became defunct many years ago. CCCP (EVE Online makers) held the rights for White Wolf intellectual property for many years; primarily failing to create an MMO out of the World of Darkness and mostly sitting back and licensing the pen and paper RPG rights to a number of small entities who had the passion to continue developing the lines. Primarily that consisted of The Onyx Path (initially a company with one employee managing freelancers, Rich Thomas who worked on WW stuff going back to the 90s). At this point Paradox Interactive has taken over all White Wolf IP and is actually set to make video games in the World of Darkness happen. The existing licensing agreements for Pen and Paper were honored from the existing agreements from CCCP. I like the idea of playing a Werewolf. A proper one too. My favourite P&P RPG from the 90's. I don't even know what kind of game it will be, but I'm hyped. I've waited so long, I will be happy just to get a Werewolf game. I discovered a year and a half ago that WtA is my favorite thing ever just in general. I've been spending that time collecting all of the old books and merch on eBay (and the new stuff too on Drivethrurpg). Honestly surprised that they are starting with WtA of all things instead of any of the New World of Darkness stuff like Werewolf the Forsaken. Not that I'm complaining I'm pretty gosh darn happy. I just pray it doesn't get canceled like the vaperware MMO Warriors of Gaia. Well, Hope it ain't like Guise Of The Wolf! Paradox has said they are only interested in the old/classic World of Darkness game lines, the new World of Darkness (now rebranded as "Chronicles of Darkness" so Paradox can refer to their video and P&P games as "World of Darkness" without brand confusion) has been licensed out to Onyx Path Publishing to run. Ah that makes sense. I did wonder too why NWoD was rebranded to Chronicles of Darkness. Thanks for the clarification. Still, so very excited for this. I haven't been excited for a game announcement in years. Paradox Interactive buys White Wolf Publishing and its associated World of Darkness. Nothing strange there. It's announced that they've licensed the property to a studio to make a game based on said property. Only natural. It's published by someone else. Wait what? Paradox is a publisher themselves; why would they not publish it themselves? It's possible I've missed something in the current owner structure of White Wolf Publishing but this still strikes me as odd. Anyway: Cyanide Studios. Let's see what they have done... a bunch of cycling games, a bunch of so-so to 50 metacritic score received games with themes of monsters and darkness. Metascore doesn't say everything but I am not getting much confidence from their track record. They made Blood Bowl and its sequel, which were both pretty good. But yeah, other than that it mostly looks like crap, notable recent examples being Impire and Space Hulk: Deathwing. It's published by someone else. Wait what? Paradox is a publisher themselves; why would they not publish it themselves. Generally the publisher is the one who has to put up the money to actually make the game. Given Cyanide's history, including Impire which was published by Paradox, I wouldn't be at all surprised if they simply don't expect it to be any good. By licensing out the rights Paradox can guarantee some profit out of it and claim some credit if it does turn out good, but can deny any involvement and don't lose any money if it flops.